I first met the lovely Lucy Tanner when she attended a 1-2-1 Intensive at my home. She had been running her photography business for over a decade, but felt dispirited and like times were moving too fast for her to keep up. She was in desperate need of new ideas to help pull her business, and her spirit, out of a slump created by the changing times. During the intensive we identified a few clear areas where more work was needed, and being the brave woman that she is, Lucy jumped straight into a 10-week mentoring programme so that we could dig deeper into how to turn her business around. 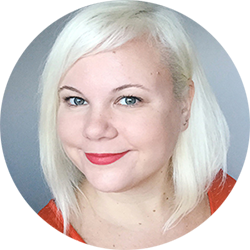 The main areas we concentrated on during Lucy's mentoring hours were her online presence, which wasn't really up to modern standards, getting to grips with new technologies, and enhancing the experience she creates for her clients, all with the goal of igniting the fire she originally had for her business. Some of the work felt deeply personal to Lucy, which tends to always be the case, but even more so when you have been in business for longer. It's super hard to let go of old ways, even when they might not be working for your business, or your life. I have to give huge props to Lucy though, every time she felt the resistance, and was in danger of backing down, she always found the guts to break through and push on with learning new things. We've accomplished a pretty thorough overhaul of Lucy's business practices, online presence and most of all self-confidence and energy, and I really wanted to showcase Lucy as one of my ‘star pupils' as it were. Here Lucy tells in her own words how she experienced the process of mentoring. Tell me about your business, what do you do and how long have you been in business? 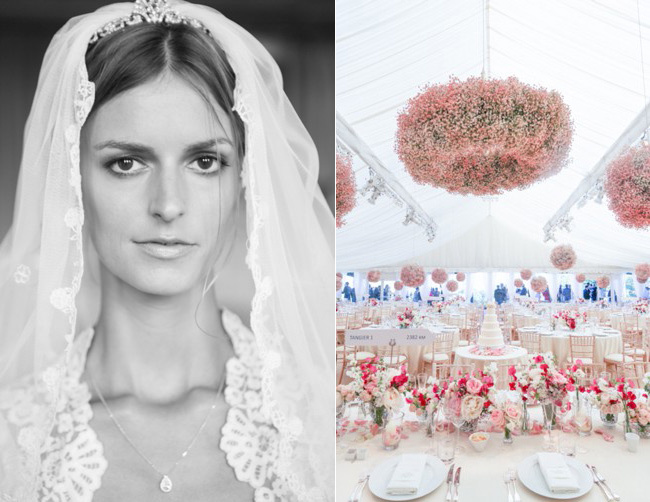 I run a photography business, specialising in weddings, events and portraiture. I started around 2003. Why did you want to get a mentor? I felt lost and unmotivated. I was stagnating. I know I was good at taking photos but the other parts of my business were lacking. The industry had changed with the development of digital photography and social media and I felt left behind. I also wanted to find inspiration again, as I felt jaded and uninspired by the work I was getting so needed to find a more targeted client base that could get me excited again. I had lost the love for what I was doing and needed guidance to get it back. What were the areas you were struggling with the most? Mainly motivation. I was losing the love for what I do. I was also really struggling with the changes in the industry. I had no idea about social media or how to use it to help my business. The recession had hit my business hard and I needed to claw back from that point. I was also shooting constantly, and so busy all the time, but not always having enough financial reward for the amount of work I was doing. I was taking on everything I was offered leaving less free time to develop the parts of the business I was excited about. What was the mentoring process like for you? It was quite a big step for me to take, as I was in denial about where my business was, and I was always thinking I had the skills to turn it around. I was also busy blaming the recession and other exterior factors, when actually the reason I was failing was because I had lost sight of why I was doing this, and I had completely fallen out of love with what I was doing. Admitting I needed mentoring seemed a little bit like failing to get there on my own. However, as soon as I came across the Her Lovely Heart site and the possible workshops Marianne offered, I knew this was the right match and that to ignore my need for guidance any longer was really silly. That was the biggest step for me… Admitting I needed help was the really hard bit. Then I emailed Marianne and the rest felt more easy and organic. My first session was really good and inspiring. It was actually also quite painful. The process of trying to establish what I love about my work, and how I identify with it, also brought up some other feelings of fear and resistance… going through this process felt very cathartic and not what I had been expecting. The rest of the mentoring process, including Marianne guiding me through a rebranding and website overhaul was also hard. But very good, rewarding, hard. Like when you need a really big push towards something you've been putting off forever, but as soon as you've done it, you wish you'd done it ages ago. You wish you hadn't been so scared to shake things up a bit before. Before I was running along doing the bare minimum to get to where I wanted to be, but Marianne's mentoring showed me I had to go the extra mile and try and be the very best I can be. I know it sounds crazy, but this concept had never occurred to me. To make my clients extremely happy with the whole process, not just the final images they received. What was your favourite thing (or area) about the work we did? I think really getting to understand what my product and brand was, and really getting a sense of my self worth. As a freelancer, you often take things on that you're not inspired by, for less money than you would like, as you're worried about turning work down. This is often counterproductive as it means you're not free to follow the stuff you are really good at and inspires you most. Marianne made me fully understand the direction I wanted to go in and gave me the confidence to walk away from the other areas that weren't inspiring me. This also gave me more of an authority to ask for better renumeration for the work I was doing. Realising you are good at something and standing by your prices actually inspires confidence in your client, and I have benefitted so much by not being afraid to turn the wrong kind of work down. What kind of results did you see during or after your mentoring? The beginning of the process was hard, as I felt a resistance to change. Your old ways can be comforting, however unhelpful they are. I slowly realised I had a lot to change and with Marianne's help and crazily good business savvy, I felt naturally guided though this resistant part of the process. Like any kind of good guidance, you get there on your own. You are not pushed but given the tools to do it yourself. It's a drip drip feed of knowledge that you don't even know you're taking on board. Just slowly, after a period of time, you realise you have completely changed the way you work and these changes have been so beneficial, you don't know how you coped using your old methods. It filters down into your personal life, too. I feel more in control, more focused and so much happier to be heading in the right direction. 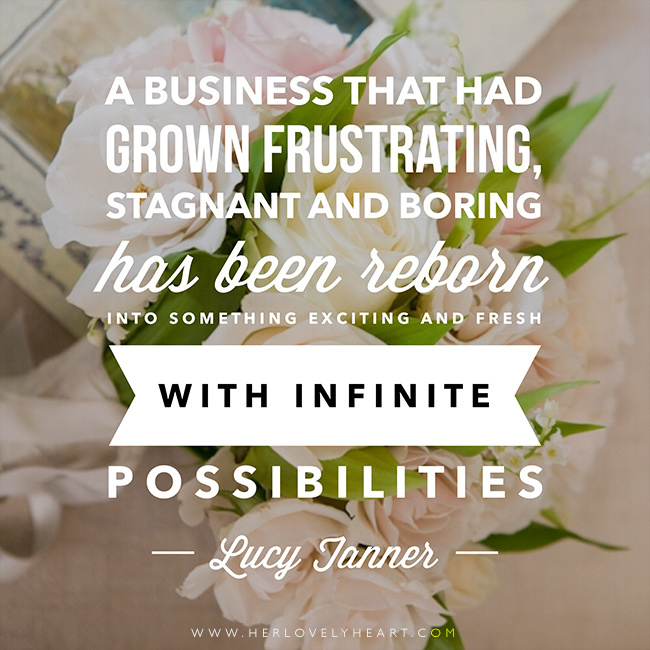 I feel the business that had grown frustrating, stagnant and boring has been reborn into something exciting and fresh with infinite possibilities. This in turn has made me feel really good about what I do again, and that is really good for my general well being. 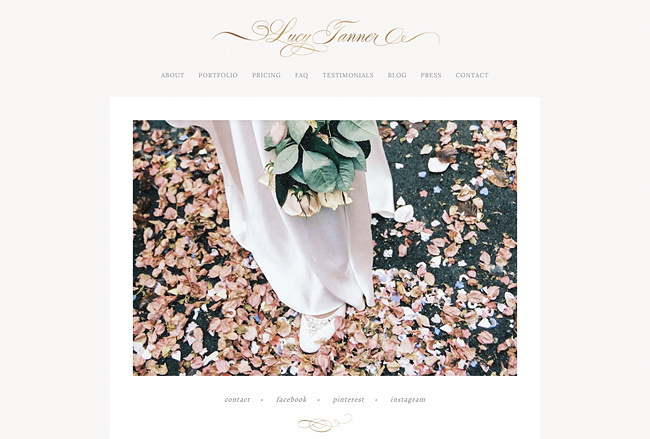 Do check out Lucy's beautiful new website, for which we worked out a direction, structure, copy and presentation for. To bring it all together, Lucy then hired the wonderful Rose of Rose & Ruby Paper Co. to design her new logo, the graphic elements and overall look of the site. When I first received Lucy's answers to my questions for this case study, I must admit I got a bit teary-eyed. I can't quite express how I proud I am of the steps she's taken, and how far she's come, and I feel so very privileged to play a part in her journey. Clients like Lucy are why I want to teach, and why mentoring lights me up and makes me feel like I'm spending my time in a meaningful way. If you feel like you could benefit from mentoring with me, do check out the services I offer, and don't hesitate to get in touch. Let's have a chat and see what we could do to get you as excited about your business as Lucy! This is so lovely to read. I totally understand where Lucy was, I’m in year 5 of my business and have some of the same feelings which makes me feel awful, as I know so many who would love to be in my position. And I adore working for myself and my couples. 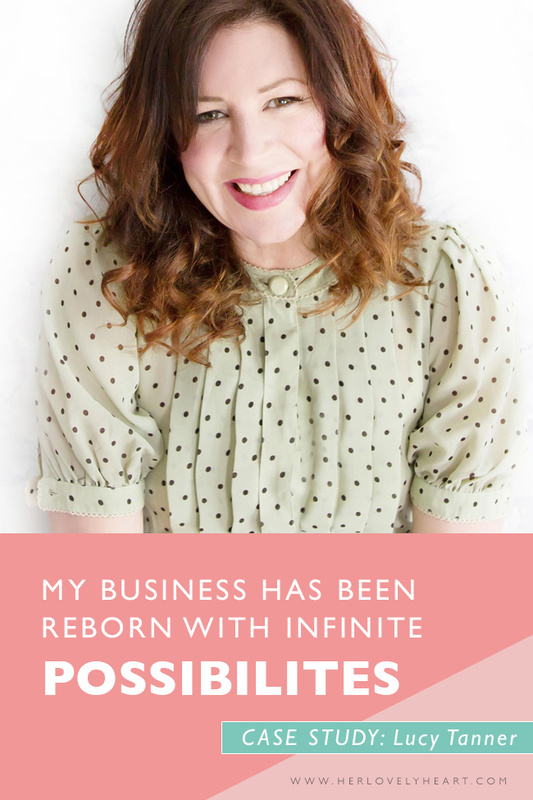 I just started business mentoring this week (I hadn’t realised you offered it marianne!) and I already feel a huge weight off my shoulders and excited for the future of my businesses. Hearing Lucy’s story above has helped me realise I’m not alone and I’m sure lots of us hit this wall after a few years into business. Thanks for sharing! An inspiring and beautiful story, thank you for sharing!